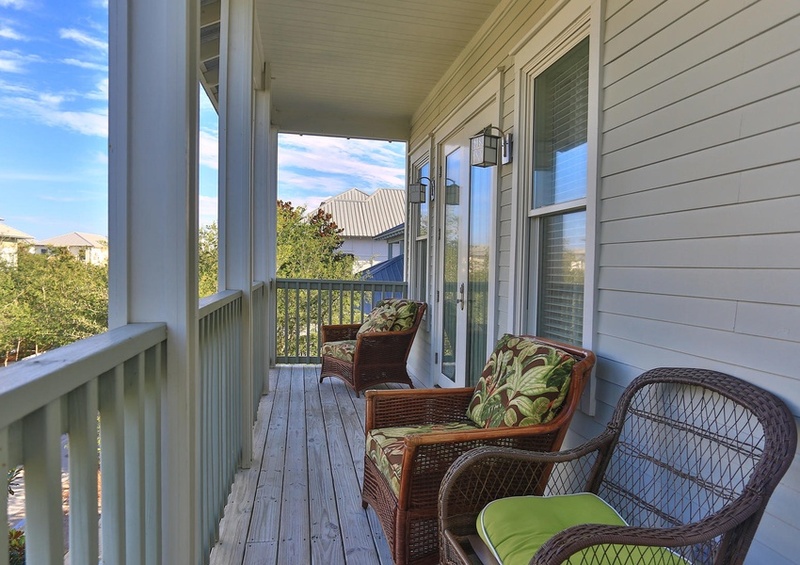 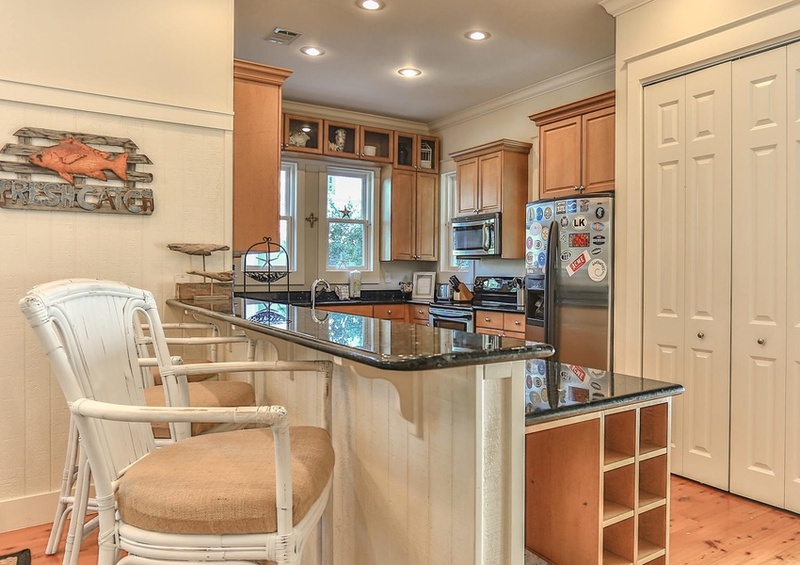 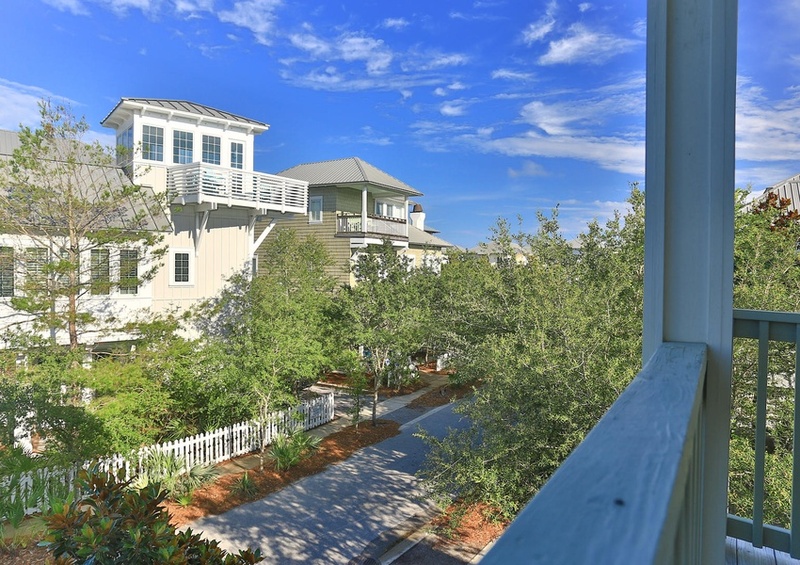 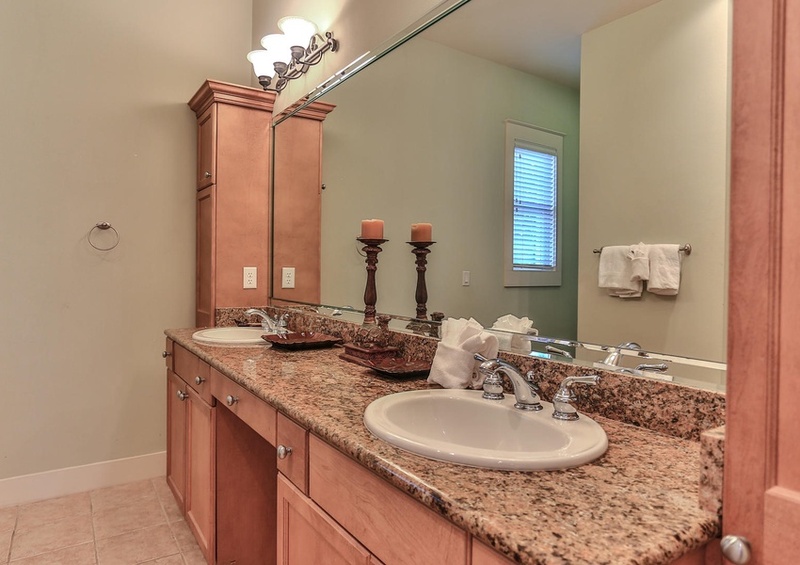 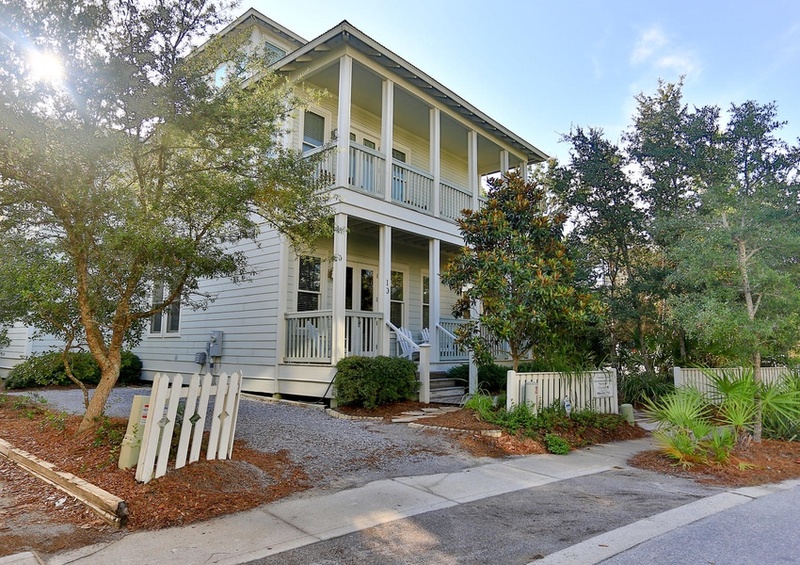 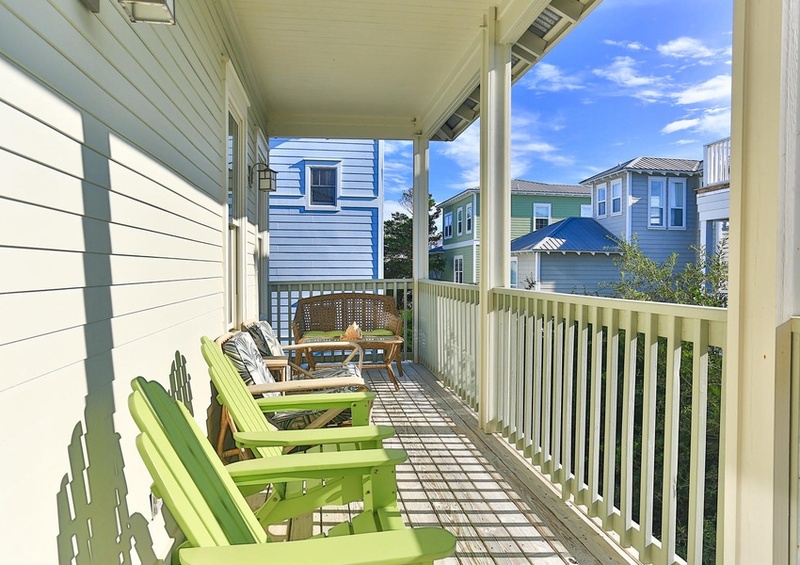 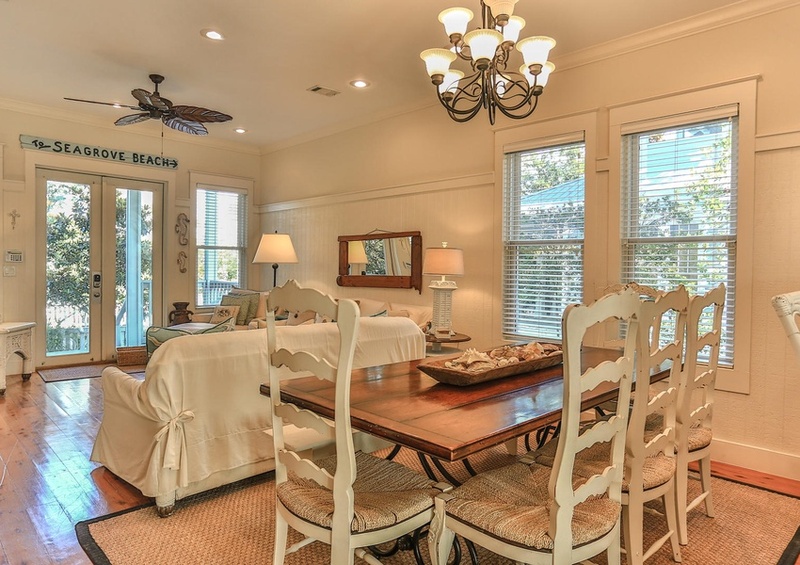 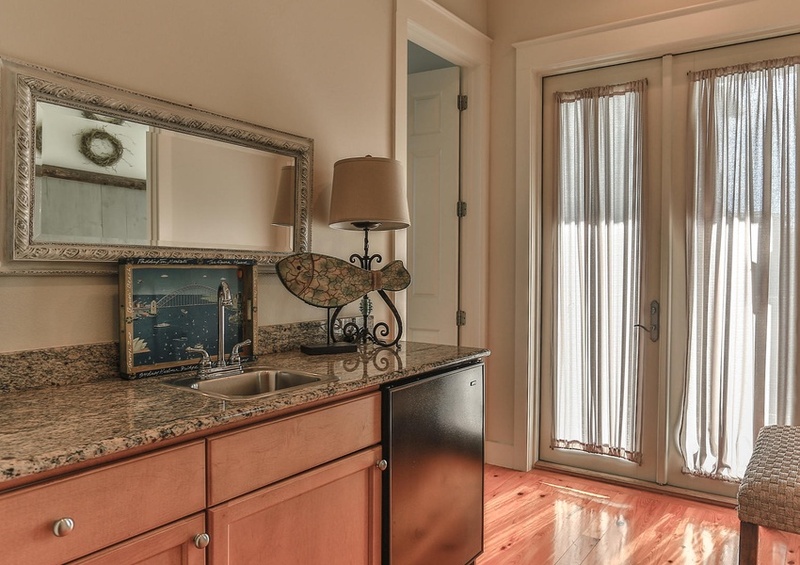 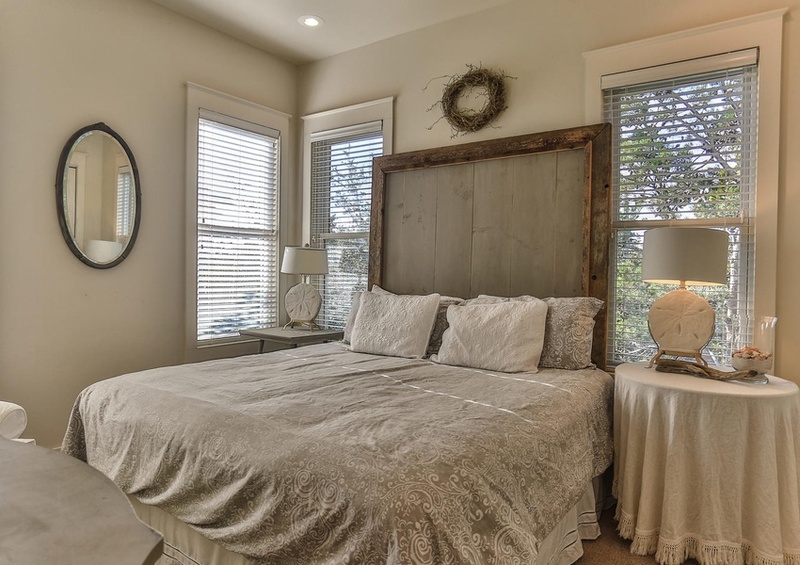 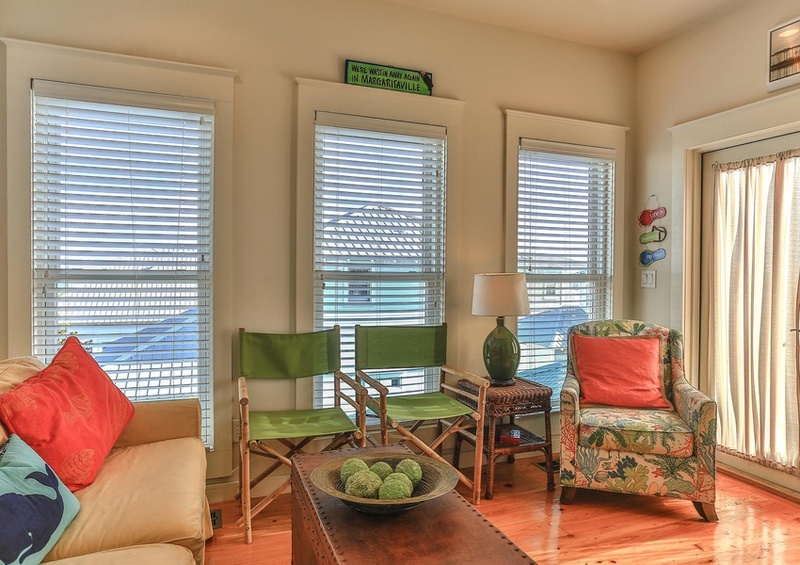 Sea La Vie is the perfect vacation home for you on Scenic 30A! 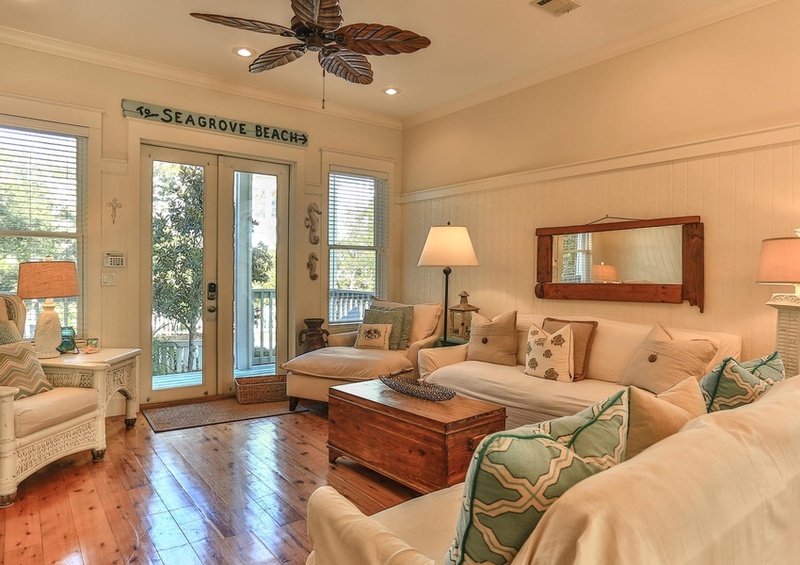 This stunning home is located in the charming, family-friendly community of Summer’s Edge in Seagrove Beach, complete with sidewalks and white picket fences. 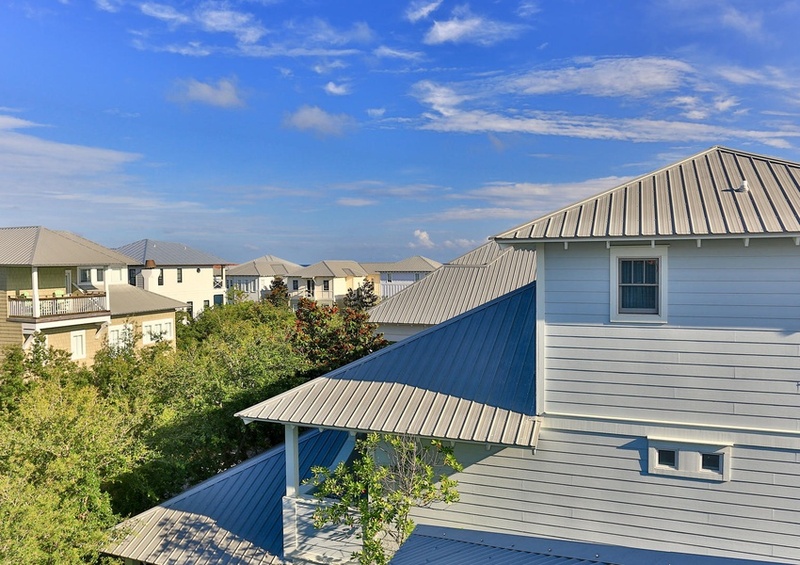 The beautiful white sand beaches that you adore are just a short walk away, while shopping and dining options of Seaside Beach are only two miles down the road. 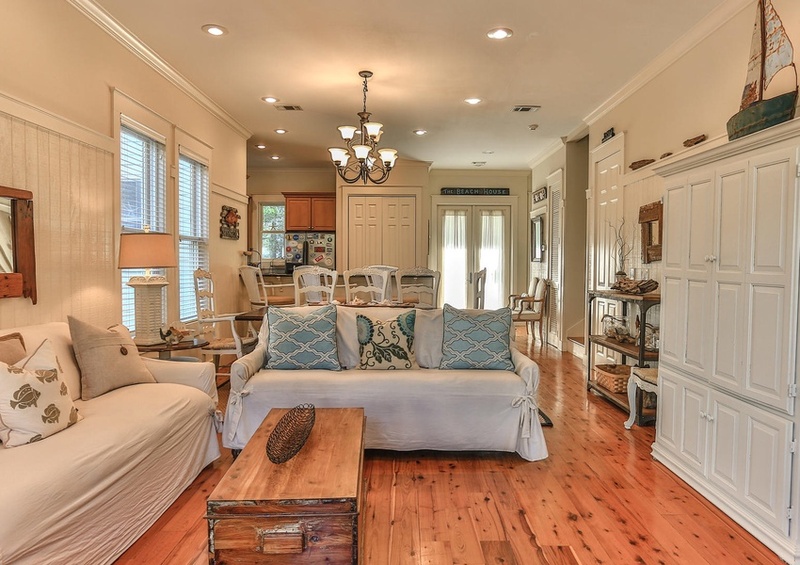 This 2,544-square foot home will easily sleep up to 14 people. 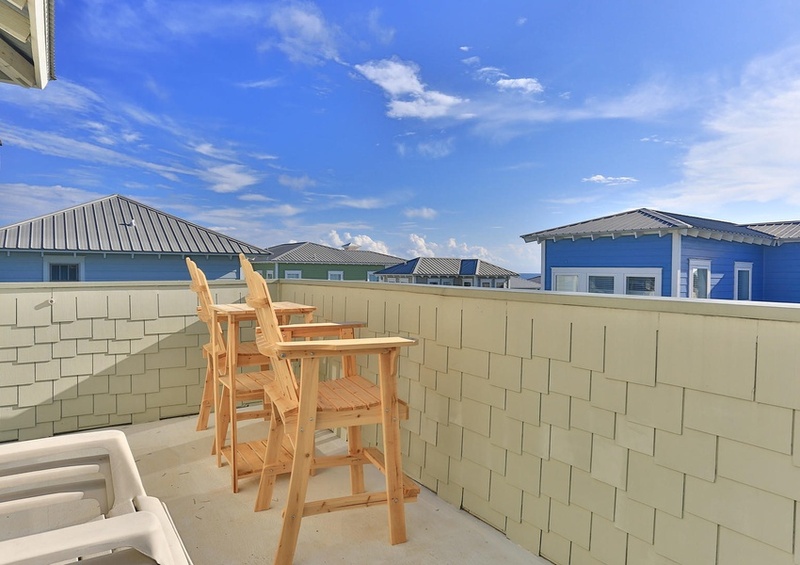 You can kick back and relax on one of the five porches that Sea La Vie offers or experience the famous sunsets of the Gulf Coast from the third-floor observation deck. 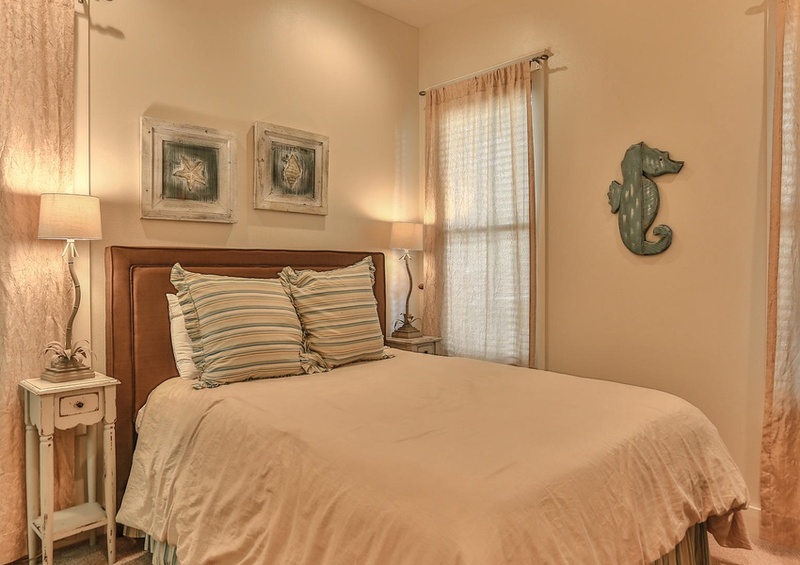 Spend your days unwinding at one of the two community pools. 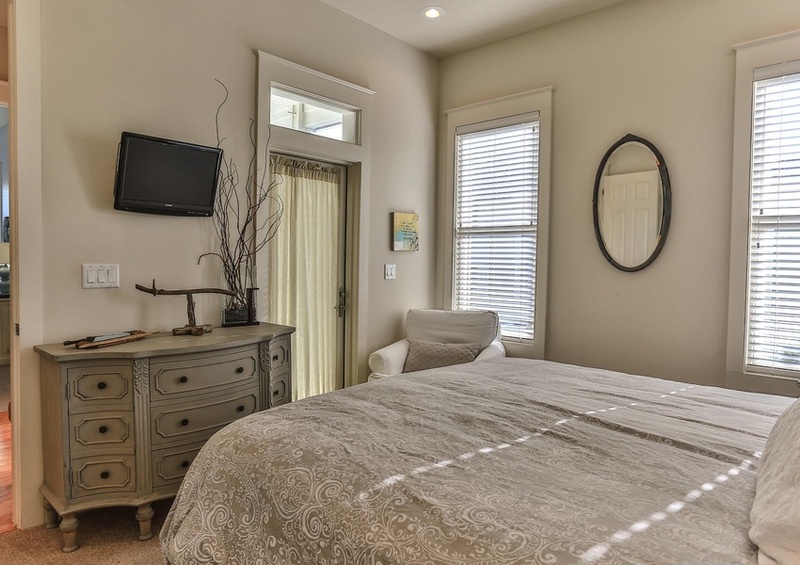 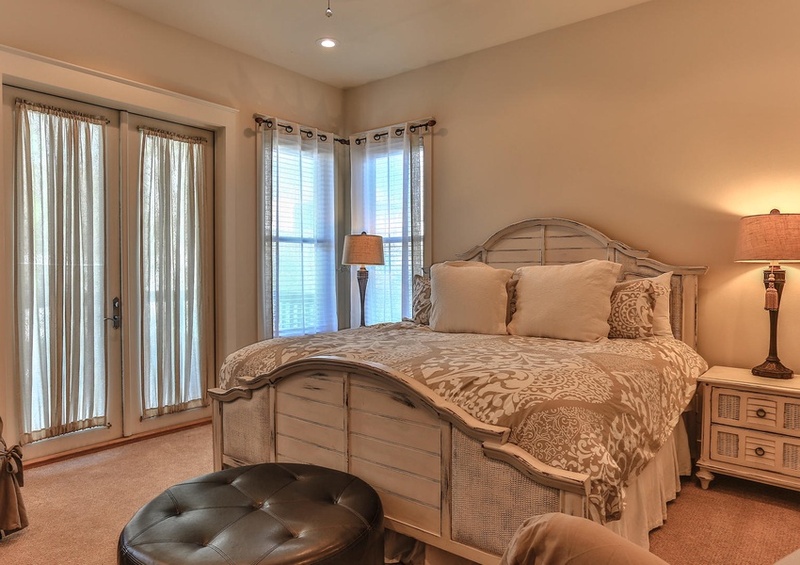 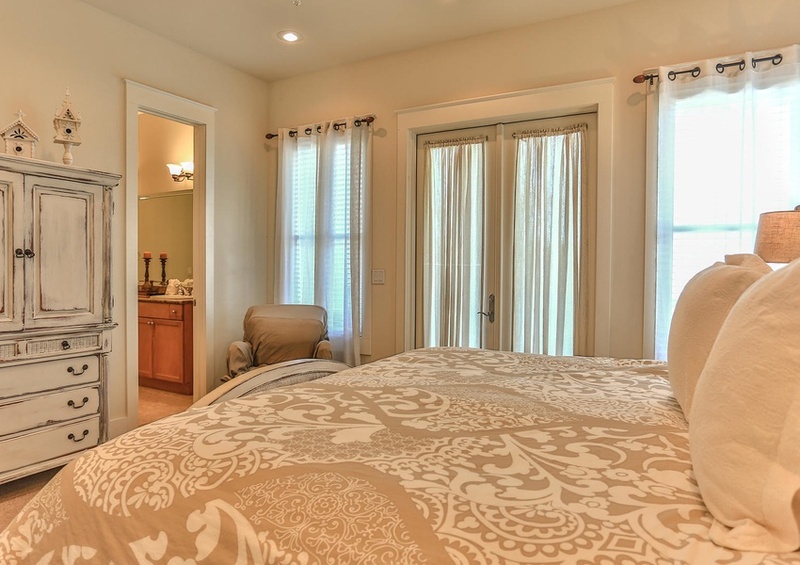 A bedroom with a queen-sized bed is located conveniently on the first floor. 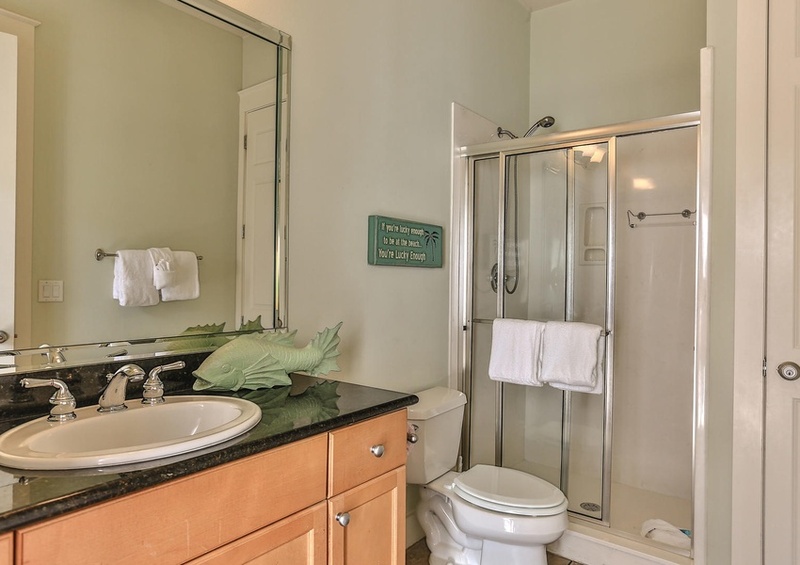 And enjoy easy access to the outdoors via the first-floor bathroom – a perfect way to come in after a day in the sunshine! 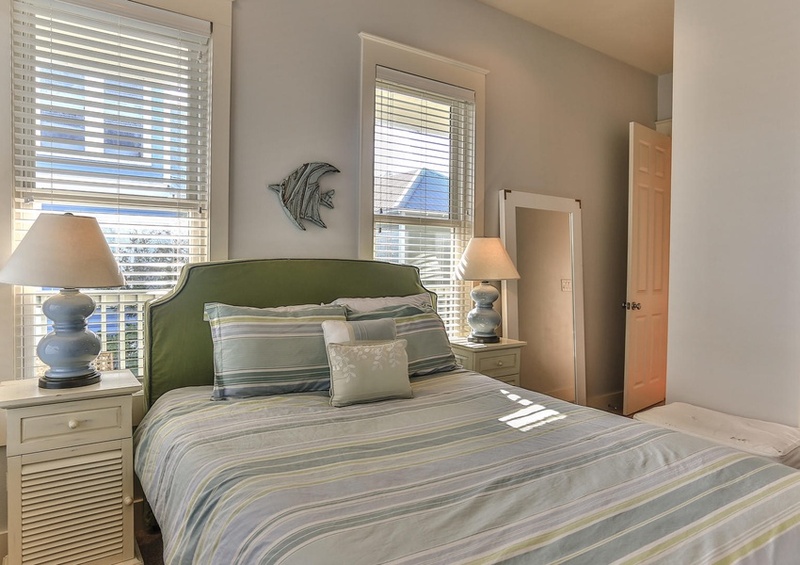 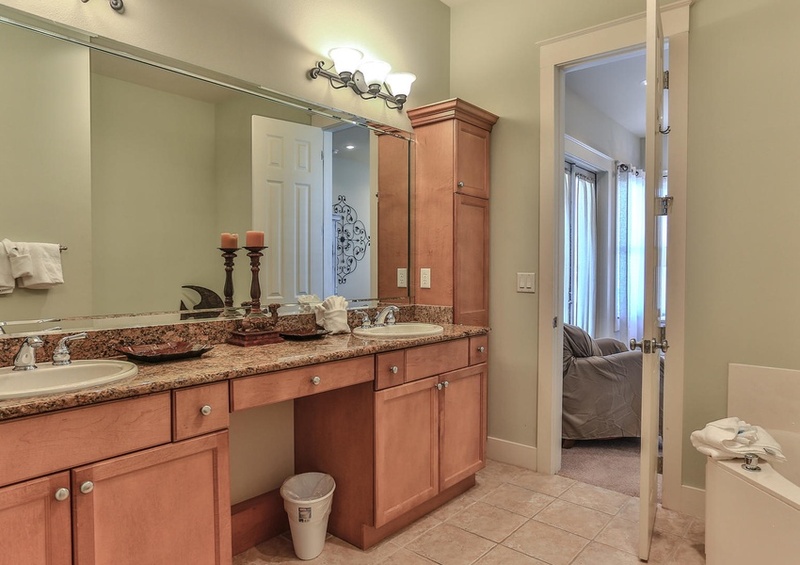 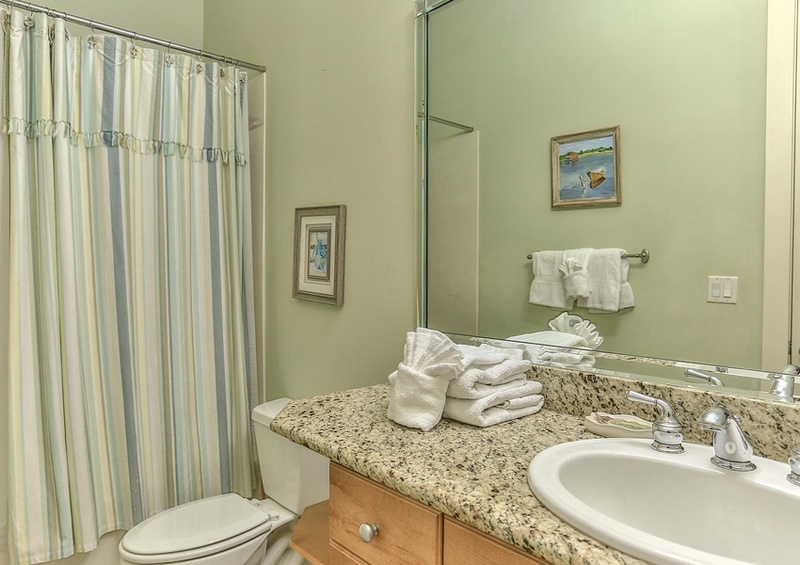 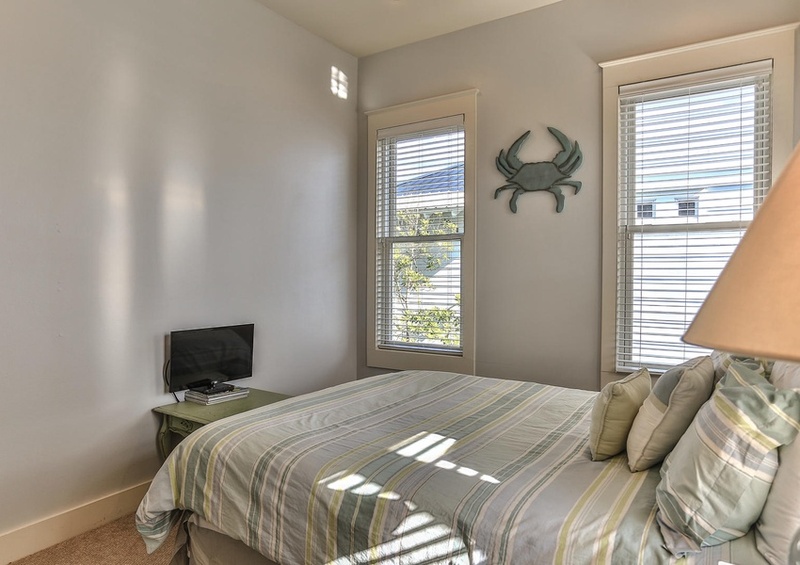 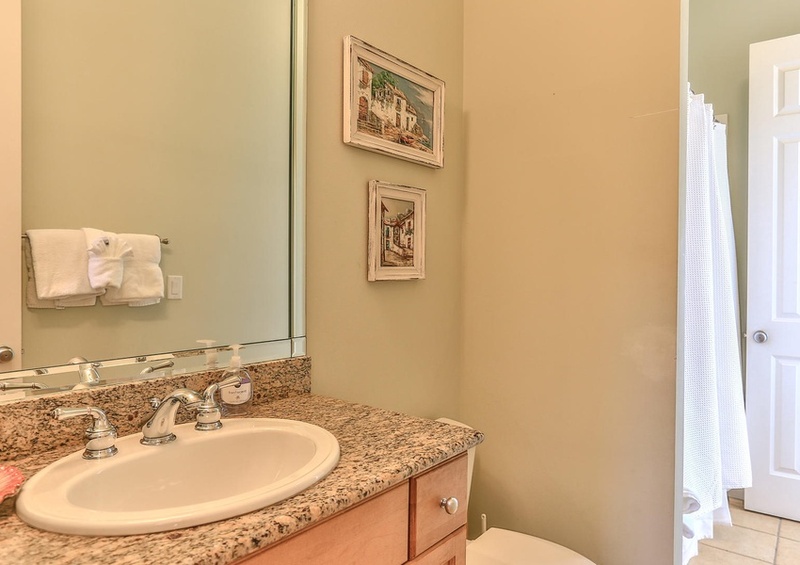 The second-floor master bedroom featuring a splendid whirlpool tub is the perfect way to end your day at the beach or simply enjoy the separate rain shower! 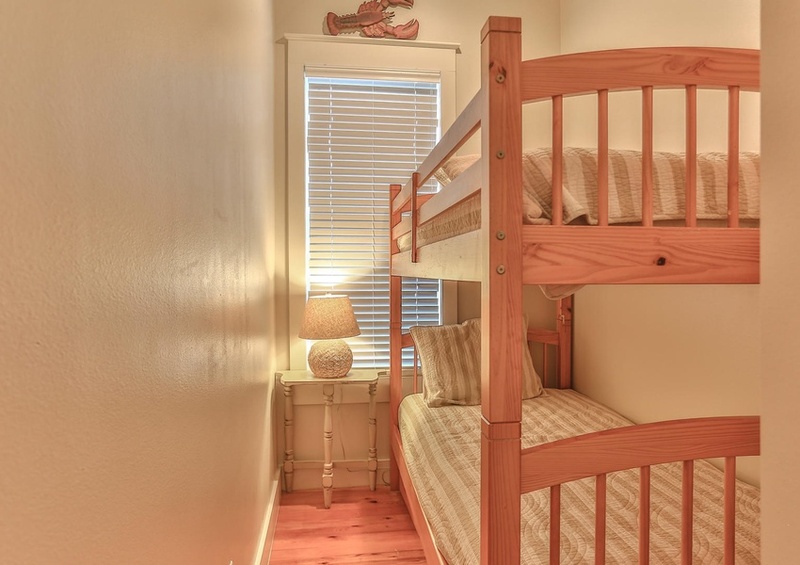 Two other bedrooms are located on the second floor as well as a bunk room the kids are sure to love. 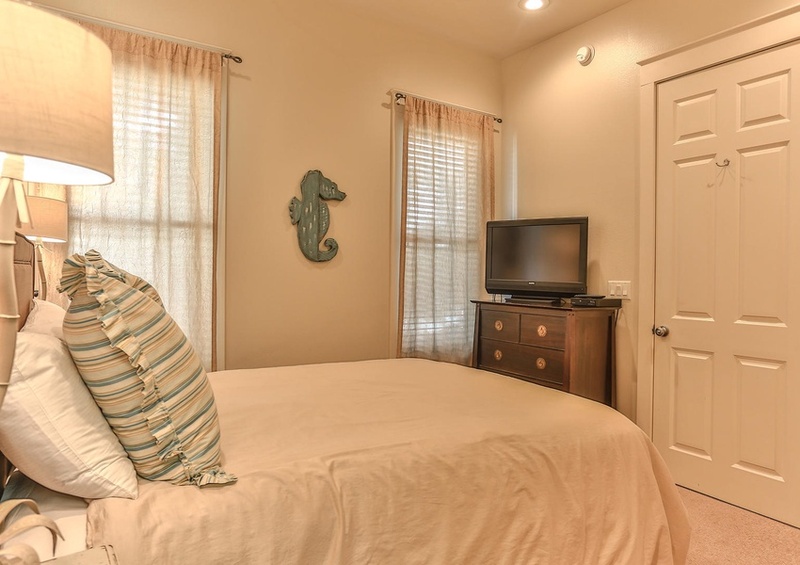 If quiet time is needed, or a great place to send teenagers, then the third floor offers a perfect retreat. 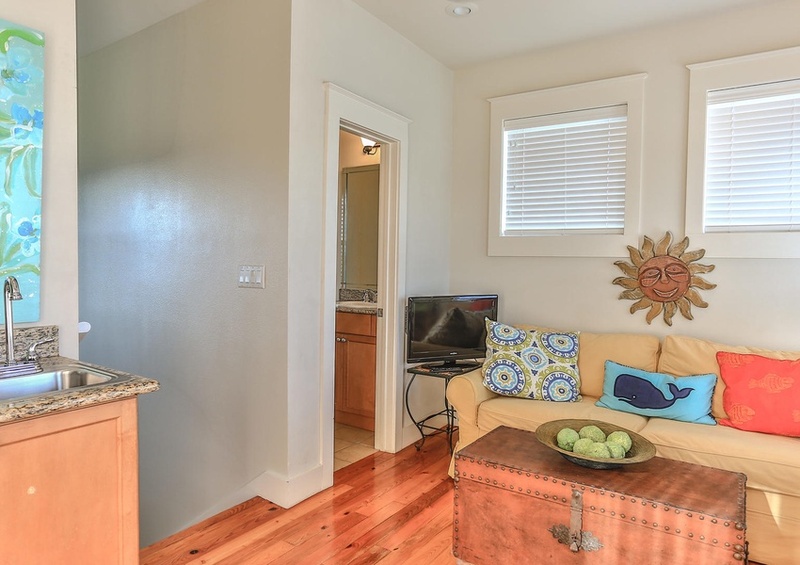 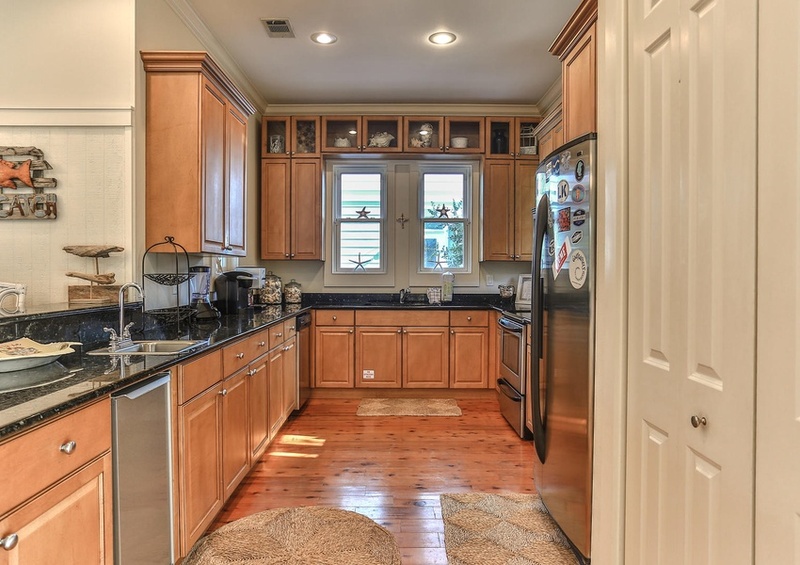 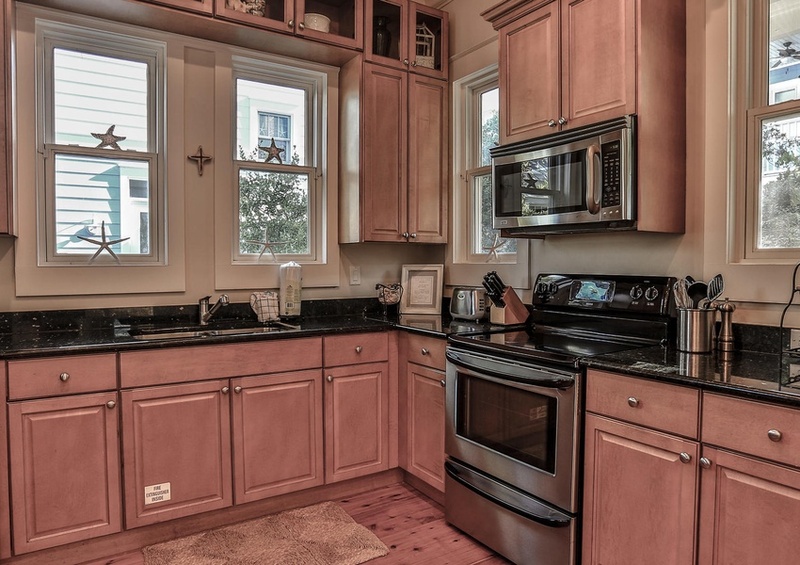 It is complete with a flat-screen TV, wet bar, mini fridge and a private sun deck. 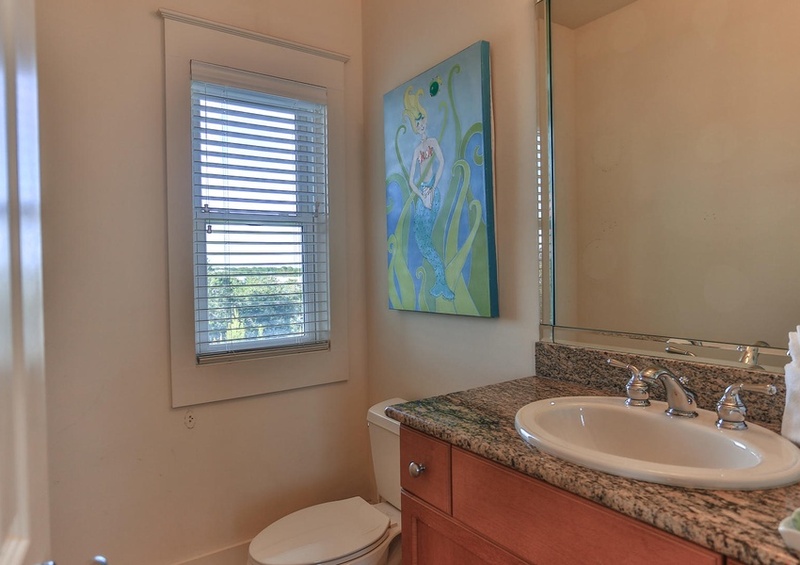 Sea La Vie is sure to delight the senses. 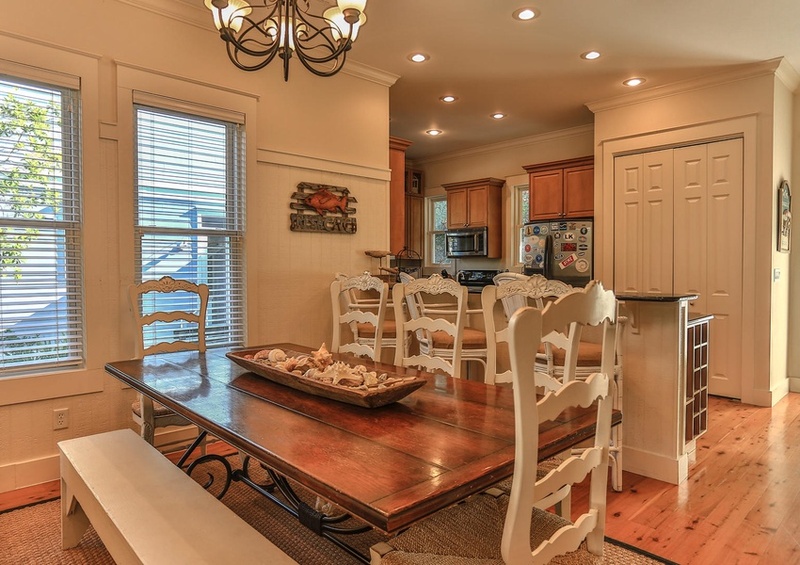 It is the perfect place to unwind and enjoy family and friends. 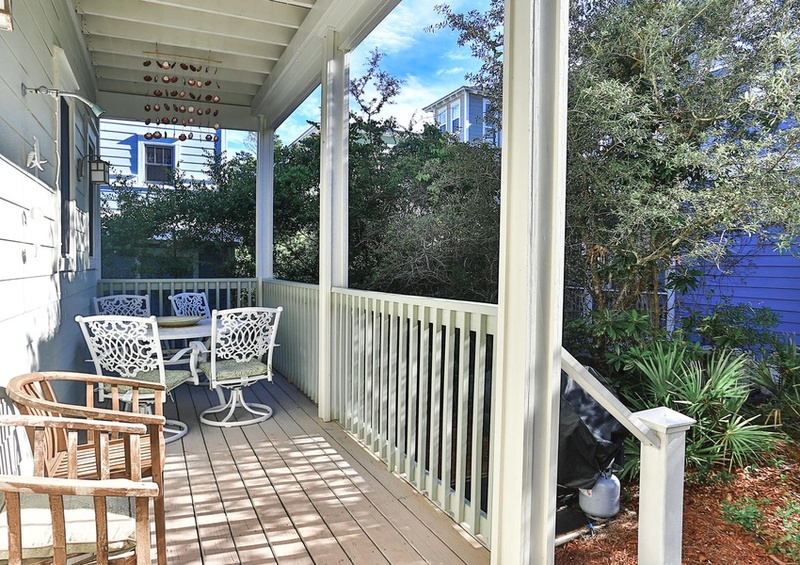 Later, take in a game of corn hole or catch a movie from the DVD library. 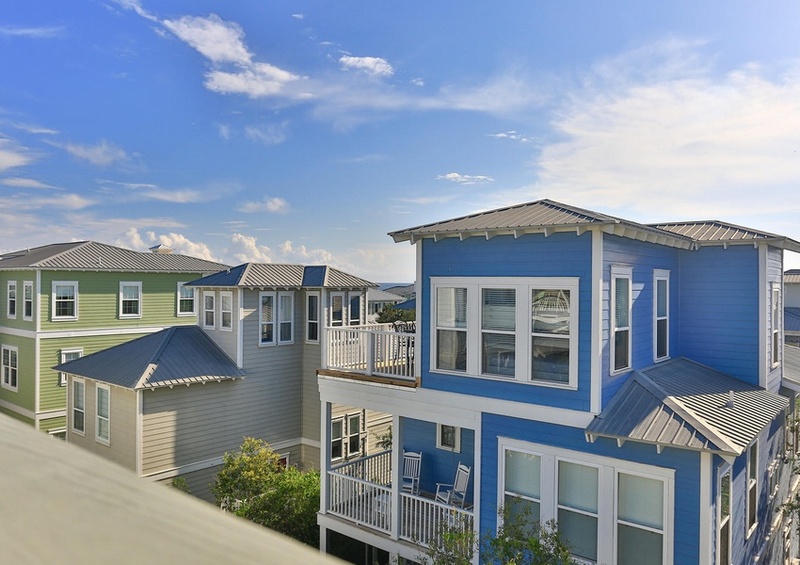 Make sure you check out local happenings on our events page and experience everything the Gulf Coast has to offer.